Volume 10 is a three-part celebration of the history of trance. Featuring modern trance classics from Motorcycle, Paul Oakenfold, Solar Stone, Andain, Tiësto and more! The third and final part of this TTS Special Edition is a collection of outstanding modern trance classics from the early '00s. Part 1 can be found here, and Part 2 here. 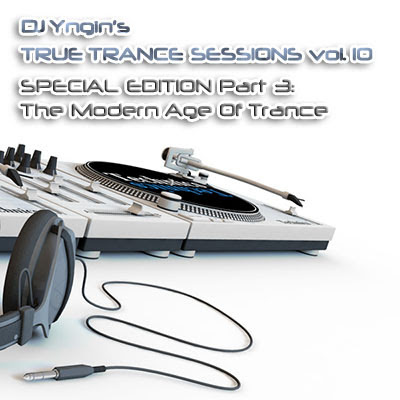 Like every True Trance Session, this volume also has 13 tracks, starts with a breaks mix, and generally increases intensity and BPM throughout the set.